Grocery chain Supervalu (NYSE:SVU) just received a super premium buyout offer from United Natural Foods (NASDAQ:UNFI) that totals $2.9 billion, or $32.50 per share. That is a whopping 85% premium on SVU stock’s 200-day moving average. Supervalu is now the second grocery chain to be bought out at a huge premium in just over a year. Last June, e-commerce giant Amazon (NASDAQ:AMZN) purchased high-end grocery chain Whole Foods Markets for a whopping $13.7 billion. That price tag represented a 30% premium. For the grocery chain industry, this has big implications. One grocery chain acquisition at a 30% premium is one thing. But two grocery chain acquisitions in a year — both at huge premiums — is a trend. That trend speaks favorably for Kroger (NYSE:KR) and Sprouts Farmers Market (NASDAQ:SFM), the two grocery chains which I reasonably see getting major takeout offers over the next 12 months. Amazon bought Whole Foods at a 30% premium. 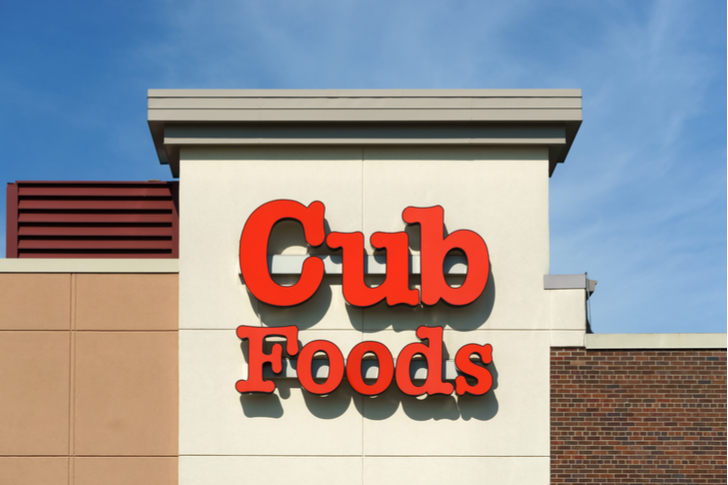 United Natural Foods bought Supervalu at an 85% premium. It certainly looks like everyone is buying grocery stores, and at huge premiums. This makes sense. The whole world is shifting towards the internet. We went from malls to internet shopping, and from eating out to ordering food online through internet delivery platforms. You also have internet media like Facebook (NASDAQ:FB), internet search like Alphabet (NASDAQ:GOOG)(NASDAQ:GOOGL), and internet entertainment like Netflix (NASDAQ:NFLX). But one thing you can’t bring online is grocery shopping. Groceries are physical goods, so there are limitations as to internet adaptability. Also, unlike other industries, grocery shopping is largely a touch-and-feel experience that people like to do in-store. Even in the event that grocery delivery does eventually gain mass traction, people will still want to buy groceries from a trusted grocery chain name, not an e-commerce company. Overall, then, grocery stores have a big moat surrounding their businesses when it comes to digital encroachment. The world is taking notice. Consequently, as opposed to wholesale disrupting the grocery space, potential new market entrants are disrupting through acquisition. Amazon acquired Whole Foods, a trusted name in the grocery sector, and is now disrupting the grocery market through Whole Foods. But, as the United Natural Foods acquisition of Supervalu proved, one disruption often leads to many other disruptions. As such, over the next several quarters, I expect M&A activity in the grocery sector to heat up by a whole bunch. After the Supervalu acquisition, the two stocks I’m watching closely in this space are Kroger and Sprouts. Kroger is the king of the grocery market. They are the biggest grocer in the U.S. with the most stores, the most sales, and the most profits. This “bigness” makes them an attractive acquisition target for any new market entrant seeking maximum exposure and physical presence. Meanwhile, Sprouts is like Wholes Foods Junior. It has the same healthy eating brand as Whole Foods, but the product assortment is often of lower quality and the prices are much more reasonable. Consequently, Sprouts is an attractive acquisition target for any new market entrant seeking maximum engagement among the mid-price, trend-oriented demographic. Who could the buyers be? This is pure speculation, but I think Walmart (NYSE:WMT) could and should buy Kroger, while Target (NYSE:TGT) could and should buy Sprouts. Walmart really wants to be like Amazon. Not only did it build out a robust and rapidly growing digital sales platform, but it also is gearing up to launch a streaming subscription service like Amazon Video soon. In my opinion, these are all moves that will enable Walmart to one day launch its own exclusive subscription service like Amazon Prime. An acquisition of Kroger could really boost the value prop of such a subscription service. Walmart grocery is a thing, but it isn’t exactly a trusted grocery brand. Kroger would give Walmart that big and unparalleled grocery presence, and the low-price, mass-market demographic lines up perfectly with the Walmart core consumer. As such, if Walmart wants to effectively compete with Amazon and launch a Prime-like service, acquiring Kroger would make a ton of sense. Meanwhile, Target is less Amazon-like than Walmart. But, the company faces all the same threats. And, Target grocery is miles behind Walmart grocery. Therefore, this company needs a solution, and fast. Sprouts is that solution. Demographics line-up perfectly (mid-income and trend-oriented), and Sprouts would give Target that one big boost it needs to effectively compete against Walmart and Amazon. As such, I’m a big fan of a Sprouts-Target marriage, and see both companies benefiting as a result. Amazon changed the game when it acquired Whole Foods. United Natural Foods acquiring Supervalu is just the first example of what will likely become a recurring theme of grocery stores getting huge buyout offers. That implies good things for Kroger and Sprouts, two grocers with a ton of value and low price tags. My best guess is that Walmart makes a play for Kroger over the next 12 months, while Target makes a play for Sprouts. As of this writing, Luke Lango was long KR, TGT, and WMT. Article printed from InvestorPlace Media, https://investorplace.com/2018/07/supervalu-svu-stock-super-premium-implies-good-things/.